A day after the exit of Vishal Sikka as CEO, the Infosys Board on Saturday approved a share buyback programme of up to Rs 13,000 crore, reports said. In post on his blog, Sikka said he will step down as CEO and managing director of Infosys with immediate effect, but will stay on as executive vice president of the board until a replacement is found. Amidst allegations that Vishal Sikka has resigned owing to heightened acrimony between the board and the high-profile founders led by NR Narayana Murthy, the latter on Friday said that it is below his dignity to respond to such baseless insinuations. "In his notice of resignation to the board, Dr Sikka reiterated his belief in the vast potential of Infosys but cited among his reasons for leaving a continuous stream of distractions and disruptions". In a surprise announcement, Infosys today said Sikka has quit as CEO after almost three years on the post. Sikka's resignation comes after months of exchange of cold vibes between Infosys founders and management over a hefty severance pay and huge remuneration to top bosses. 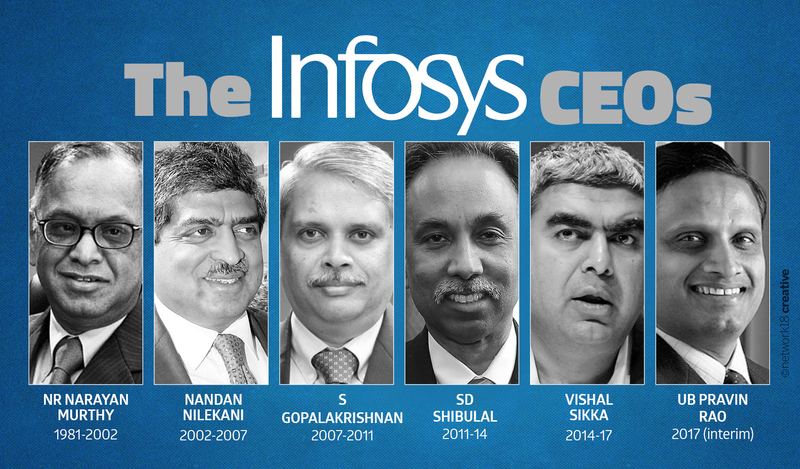 Infosys, which is one of India's largest IT service companies, has been plagued with internal disagreements between its founders and the executive board. Pomerantz says on its website that on news of Sikka's resignation, Infosys's American Depositary Receipt price has fallen as much as $1.43, or almost 9%, during intraday trading on August 18, 2017. While, Narayana Murthy, and his co-founders, have been spearheading the campaign against alleged corporate misgovernance since a year ago, the board has refrained from criticising Murthy, who many consider inseparable from the company's image. Mr Rao will report to Mr Sikka, who will take on the executive vice-chairman role until a permanent CEO takes charge, which should be no later than end-March next year, Infosys said. The company said it has come to the attention of the Board that a letter authored by Murthy has been released to various media houses attacking the integrity of the Board and Management of the company alleging falling corporate governance standards. "This is the view of at least three members of the board, and not my view since I have not seen him operate from the vantage point of an Infosys board member", Murthy had been quoted as saying.